If there’s one thing crowdfunding sites are good for, it’s helping crazy new musical instruments come to life. Over the years, kickstarter and indiegogo have acted as springboards for just about every oddball noise-making device you could ever imagine: drum pads built into pants, motion-sensitive synthesizers, and even an all-in-one guitar/bass/piano/drum kit. The trend isn’t going away, and the latest addition to the growing list of offbeat insruments is arguably one of the strangest (and most intriguing) yet. Specdrums, as its called, is a freeform music creation system that relies on programmable, light-sensitive actuators that translate color into sound. To make music with Specdrums, you start by slipping one or more of the system’s Bluetooth-equipped rings onto your fingers (or drumsticks, if that’s more your style). 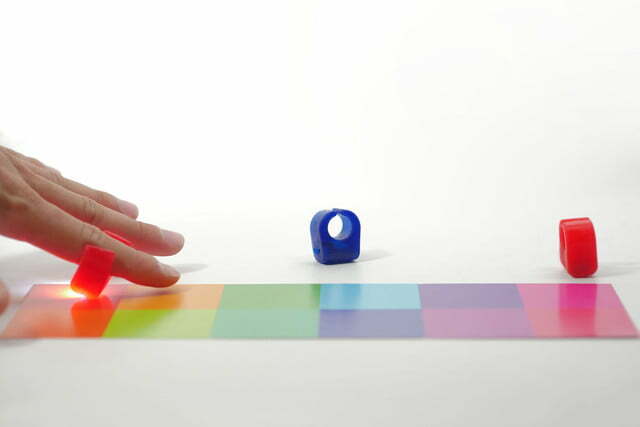 When the rings tap on a surface, they shine a light on the surface, and a small sensor picks up the color. This color is instantly translated into a corresponding note — which plays through a connected speaker. The sound a given color creates can be assigned with the accompanying Specdrums smartphone app — meaning you can basically turn anything into an instrument that makes any sound you desire. Pretty nifty, right? Ever wished you could use your iPad as a wireless second display for you Mac? Well, good news! There’s finally a decent way to make it happen. It’s called Luna Display, and it’s basically a tiny dongle (roughly the size of your thumb nail) that plugs into your computer’s Mini DisplayPort, USB-C, or USB 3 port. Once installed, it works through an app on your iPad, and connects the tablet display to your Mac via Wi-Fi. Now, truth be told, this kind of thing has been possible for quite some time, but most Mac-to-iPad display extenders are software-based solutions, not hardware-based like Luna. 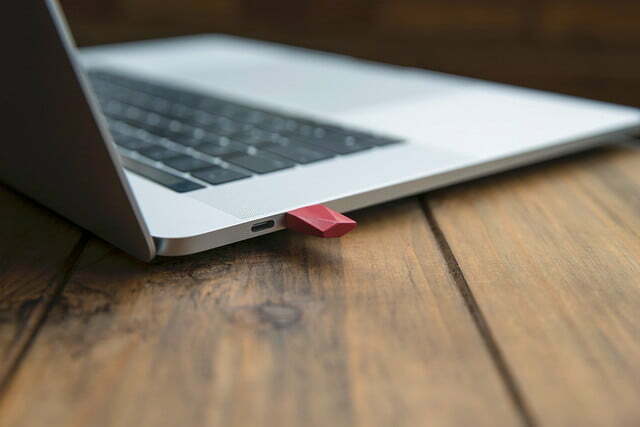 The dongle approach has a couple big advantages though. Because it’s plugged into your Mac, Luna can tap into its graphics processor capabilities — something no app can do. Essentially, this means that Luna can offer super high image quality, despite the fact that it’s completely wireless. And that’s just the tip of the iceberg. Luna Display is actually a two-way extension to your Mac, allowing you to interact with your computer directly from your iPad. It literally turns your Mac into a touchable device, allowing pinching, panning and tapping, making it much more than just a second screen. 3D printers have come a long way in the past few years. It used to be that they were only found in well-funded engineering labs and the basements of uber-geeky enthusiasts — but now they’re available to anyone with $150. On top of that, the range of materials we can print with has greatly expanded in recent years. It’s not just ABS and PLA anymore; 3D printers can make stuff with wood, clay, nylon, and even metal these days. Despite all the advances we’ve seen lately, there’s still one big limiting factor that’s holding 3D printers back: build envelope. Right now, if you want to make an object that’s bigger than your printer, you’re out of luck — but what if that wasn’t the case? 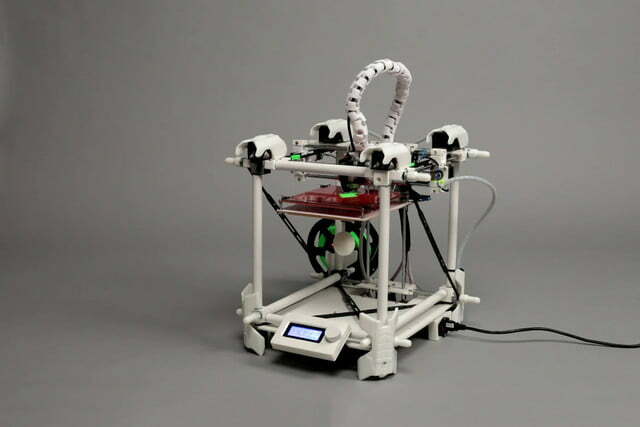 That’s precisely the idea behind the New Nine — an adjustable, scalable 3D printer that can be resized to accommodate bigger parts, when the job calls for it. We’re not just talking more width, either — the printer’s dimensions can be expanded along all axes, meaning you can make it wider, longer, taller, or any mix of the three. As if that wasn’t awesome enough, it also has a boatload of high-end features, such as a heated bed, a mass damper to eliminate wobble, and a magnetic screen that can be re-positioned in seconds. Oh, and it’s also completely open source, which is pretty awesome. Smart sports equipment is everywhere these days. We’ve got swing analyzers for golf, tennis and baseball; sensors that measure reps for weightlifters, and a veritable boatload of fitness trackers that analyze your daily activity. But oddly enough, soccer (or football, to anyone reading this outside the U.S.) has largely been ignored in this trend, despite the fact that it’s arguably the most popular sport on the planet. But that might soon change if DribbleUp’s latest Kickstarter campaign finds success. The company, whose first product was a stat-tracking basketball that launched a few years ago, is now working on a stat-tracking soccer ball. Ever since the practice of shaving has existed, inventors have been trying to re-invent the razor. First it was disposables, with cheap, mass-produced, and easily swappable blades. Then somebody decided to add multiple blades for more cutting power. 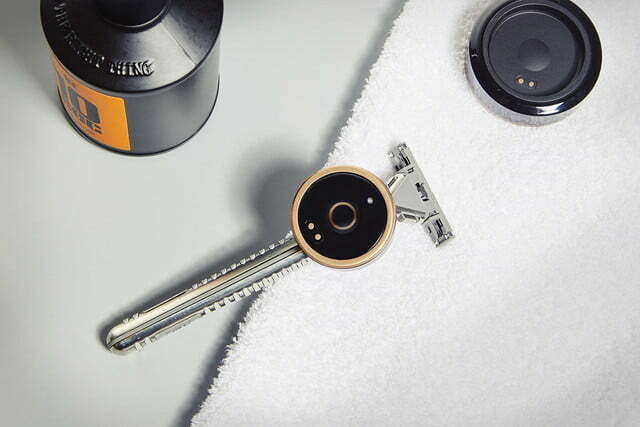 After that came electric shavers, and now that Kickstarter and Indiegogo exist, there’s arguably more innovation in shaving technology than ever before. In the past few years alone, we’ve seen everything from laser-powered razors that burn the stubble off your chin, to shavers with sapphire blades that never rust. And now, we can add another one to the ever-expanding list: the Shaveman. The idea behind this gizmo is pretty straightforward. It’s basically a little vibrating puck that you can attach to any razor you own. Once activated, the Shaveman will vibrate at a super high frequency, which allegedly boosts the cutting power of your blades, and also makes the hairs on your face stand up straighter, thereby making them easier to chop down. We’re not entirely convinced that this scheme will work, but conceptually it’s a pretty cool idea, and is definitely worth bringing to life through crowdfunding.